Trust Defender to make thieves and vandals think twice about approaching your property. Defender systems function just like a computer, with a mouse for pointing and clicking and an intuitive icon-based menu for easy set up and use. View anytime, anywhere with remote viewing via internet, smartphone, and tablet and receive email alerts, with photo, when motion is detected on your property. Record over 2 years’ worth of footage on the included 500GB hard drive. All-weather cameras deliver clear, high-quality video with 480TVL. 24IR LEDs allow for 75ft of automatic night vision. 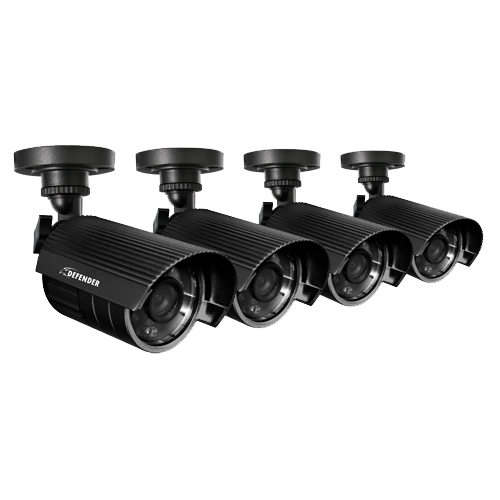 Expand this system up to 8 cameras for maximum surveillance indoors and outdoors. Anti-vandal mount ensures cameras cannot be tampered with and 65ft of cable allows for greater flexibility in mounting around your home or business. Don’t give thieves a chance. Stop them with Defender! Whether monitoring your business or home, view your camera footage live online, anytime and anywhere with PC or Mac. You can also view footage on almost any smartphone, including iPhone, BlackBerry, Android, Windows Mobile, or Symbian, as well as on your iPad and most major tablets. The included 500GB hard drive allows continuous monitoring and recording of over two years’ worth of footage! 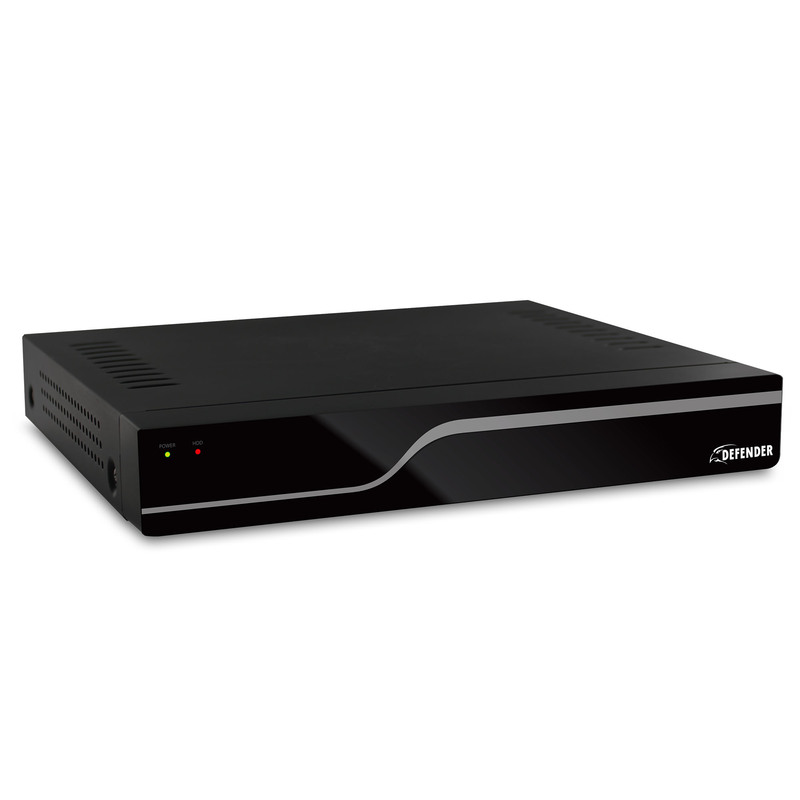 Your DVR sends an alert when your memory space is full so that you can choose to overwrite old video or stop the unit from recording. The built-in USB port gives you the option of backing up and transferring your video footage with a USB flash drive or external USB hard drive. Defender cameras are equipped with night vision that automatically activates. Twenty-four infrared ClearVu LEDs provide crisp and detailed night imagery as you monitor from up to 75 feet away, even in complete darkness. So thieves may think they’re lurking in the dark but you can rest assured Defender will see them.